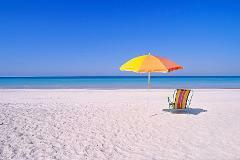 Relax under the sun on the beaches of Anna Maria Island with a Beach Umbrella. 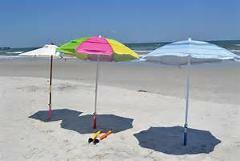 Beach Umbrellas provide great shade! This is our basic option that does not include setup daily. Comment activer les cookies ? Veuillez noter: Une fois que votre achat sera confirmé, nous vous enverrons un email de confirmation.